If your favorite recipes usually have the word "chocolate" in the title, you already know that baking chocolate comes in a lot of different forms. Two of the most common and useful are unsweetened and semi-sweet or bittersweet. It's easy enough to keep both in the pantry if you want to, but unsweetened is the only one you really need. You can substitute it for semi-sweet easily enough, and – as an added bonus – you won't be tempted to nibble on it late at night. Although they're both chocolate, unsweetened and semi-sweet varieties have a few important differences. 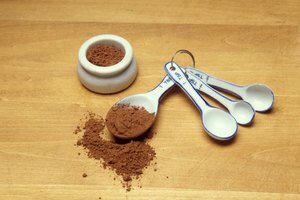 Unsweetened chocolate is about as basic as it gets: It's just cocoa butter and cocoa, often with small amounts of lecithin or some other emulsifier to help it mix into your recipes. 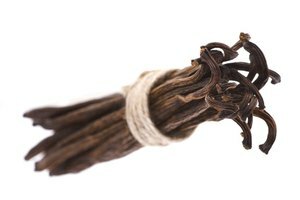 It's intended to be used in baking or cooking, so it doesn't taste very good if you eat it as-is. 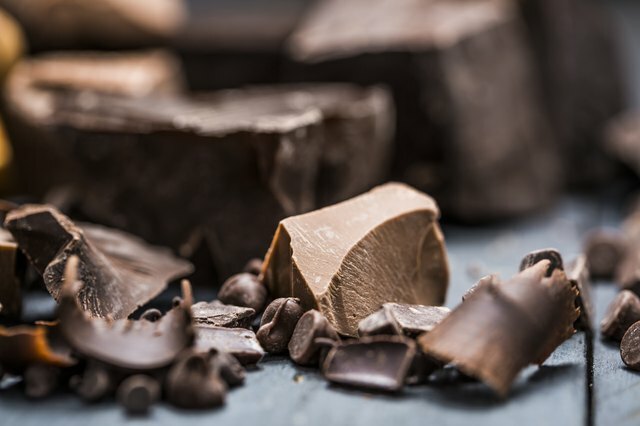 Semi-sweet chocolate has more of the flavor you think of as "chocolate," because it's sweetened and usually has some vanilla as well to give it a better-rounded flavor. Bittersweet chocolate is pretty similar, and you may see recipes calling for that, as well. Bittersweet usually has a bit less sugar than semi-sweet, but there's so much difference between brands you don't really need to worry about it. Use whichever one you've got. 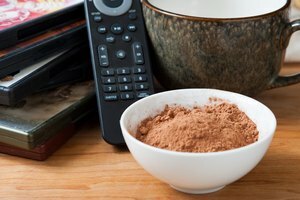 Unsweetened chocolate is really, really bitter, so it takes more sugar than you might imagine to make the equivalent of semi-sweet. In fact, sugar makes up just about half the weight of your square of semi-sweet chocolate. That's a bit shocking, but it makes for a pretty easy conversion. For every ounce of semi-sweet baking chocolate your recipe calls for, use half of the square plus a tablespoon of sugar. As it happens, a tablespoon of granulated sugar weighs just about exactly 1/2 ounce, so the weights will be pretty close. If the unsweetened chocolate you've got isn't portioned in 1-ounce squares, you'll need to use a kitchen scale or just eyeball it, based on the weight and size of the whole bar. When you're measuring out your chocolate and sugar for the recipe, it's pretty likely you'll look at the sugar in your mixing bowl and ask yourself "Do I really need that much?" The answer might well be "No," but the first time you try a recipe isn't the time for that experiment. Sugar isn't just a sweetener, it's a structural ingredient in baked goods: Imagine you're building a brick wall, and decide to cut back on the mortar. Try your recipe the way it's written the first time, and then – once you know the texture and flavor you're shooting for – experiment with cutting back on the sugar. Some recipes are pretty forgiving and others are not, so you'll never know until you try.